Experts predict that the cyber theft of private and confidential information from government agencies, business, and private individuals will reach $6 trillion annually by 2021. O’Neill, the author of the new book, Gray Day: My Undercover Mission to Expose America’s First Cyber Spy, helped catch Robert Hanssen, the first of these new cyber spies, who was charged with selling American secrets to Russia for more than US$1.4 million in cash and diamonds. Hanssen’s ability to exploit computer systems allowed him to protect his identity during a 22-year spy career. 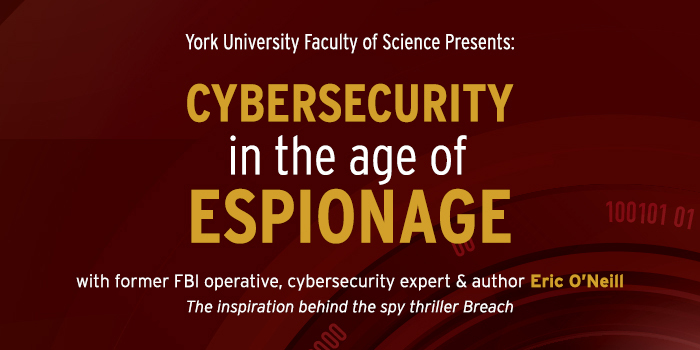 In this exciting and informative talk, O’Neill will also review recent massive cyber-attacks to show how careful diligence, counter-espionage techniques, and restraint in social media can help identify the numerous spies, hackers, cyber criminals and trusted insiders that threaten every stroke of your keyboard. 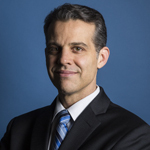 Eric O’Neill is an attorney, security consultant and professional public speaker. In 2001, Eric helped capture the most notorious spy in United States history: Robert Hanssen, a 25-year veteran of the FBI. The remarkable true events of his life are the inspiration behind the critically acclaimed dramatic thriller Breach, starring Ryan Philippe as O’Neill. The film is the story of the greatest security breach in US history. Eric began his career in the FBI as a “Ghost” – an undercover field operative tasked to surveil and monitor foreign, national, and domestic terrorists and spies. During the Hanssen investigation, Eric worked directly undercover with the spy within the FBI’s Information Assurance Division – created to protect all classified FBI intelligence. Currently, Eric runs The Georgetown Group, a premier investigative and security consultancy out of Washington, DC. Eric is also the National Security Strategist for Carbon Black, the leader in next generation endpoint protection. A talented motivational speaker who weaves real life experiences into a presentation that is both entertaining and rewarding, Eric O’Neill provides practical insights into real work situations relevant to many industries. 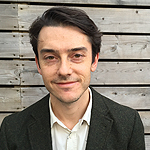 Patrick Ingram is an Assistant Professor in the Department of Mathematics and Statistics at York University. His research is in number theory, in particular in applications of arithmetic geometry and non-archimedean analysis to dynamical systems, and he is the recipient of the 2018 G. de B. Robinson Award from the Canadian Mathematical Society. Ingram also teaches cryptography for the Department of Mathematics and the Department of Electrical Engineering & Computer Science. Cryptography, in particular with the advent of public key cryptosystems, has gone from a specialized military concern to something that impacts our daily lives, and all modern public key systems are based on our current thinking about which sorts of problems in number theory are easy to solve, and which are hard. As the frontier of research in number theory advances, our understanding of the cryptography necessary to secure your smart phone and bank account evolves in tandem. As a member of the Privacy & Data Management group at Osler, Hoskin & Harcourt LLP, Kristin Ali advises clients on a broad range of privacy, cybersecurity and information management matters. She has extensive experience working with corporate clients that have suffered data breaches or have been accused of privacy violations. 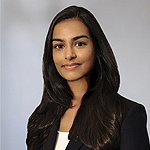 Prior to joining Osler, Ali practised for many years in Toronto and Boston as a litigator, focusing on technology-related disputes and e-discovery issues. She has represented public and private organizations in litigation, arbitration and government investigations relating to data security breaches, software failure, securities fraud and pharmaceutical compliance. As a member of the adjunct faculty of York University’s Osgoode Hall Law School, she has taught an upper-year seminar on contract remedies. She also speaks regularly at conferences across Canada and the U.S. on cross-border and cybersecurity issues. Ali began her legal career in Toronto, clerking for Justices Doherty, MacPherson, Juriansz and LaForme of the Court of Appeal for Ontario. 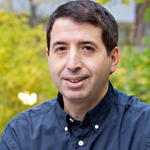 Dan Falk is an award-winning science journalist based in Toronto. His writing credits include Scientific American, New Scientist, Smithsonian, The Walrus, Nautilus, Aeon, Quanta, Slate and NBCnews.com. He’s written three popular science books, most recently The Science of Shakespeare. Falk has appeared regularly on several CBC Radio programs and has contributed more than a dozen documentaries to CBC’s “Ideas.” He also co-hosts “BookLab,” a podcast that reviews popular science books. In 2011-12, he was a Knight Science Journalism Fellow at MIT.